Are You Ready to Defy the Laws of Gravity? To Step into the Fourth Dimension, and Experience a World Where Your Thoughts Alone Can Create Your Reality? I’m Charles Taylor, and I’ve studied and practiced astral projection since the early ‘90s. From the very first moment I heard of astral projection, I was fascinated to the point of obsession. Who wouldn’t get obsessed about the idea of being able to soar like a bird over mountain ranges, and sprawling cities? Of discovering an ability to explore distant far-off lands, or the wonders of the universe? By the way, besides the obvious attractions, you can also look forward to greater focus, intuition and perception, along with heightened creativity and problem-solving skills. But you’ll discover all of this for yourself, soon enough. …But if you read this letter, you’ll find within it a selection of hints that are going to point you in the right direction, whether or not you choose to take me up on my offer. In fact, on this very page you are reading right now, I will reveal several clues that have more value than the content of some whole books on the subject. Just so you know, I’m no guru, and I’m not even especially “spiritual”. And if this took any particular level of genius, I wouldn’t have got off the starting blocks. When I “cracked the code” – or more truthfully stumbled upon it – it was a mixture of blind luck, and misguided determination. So don’t worry, though it did not come easily or naturally to me, I succeeded. And if I did, so can you! If you choose to put in some effort – because it will take some work – you will experience worlds of endless fascination. You will meet remarkable humans from previous eras. You will see galaxies being born…explore mountains and moors, forests and jungles, oceans and skies. You will come face-to-face with fantastic beasts both real and mythical. Your astral body will not be ruled by any of the physical laws you’re accustomed too, meaning that you won’t be constrained by gravity, or the need to breath oxygen. Extremes of temperature will not be able to stop you from walking on the surface of the Sun, if that is what you choose to do. Anything you imagine, you can experience, first-hand. And imagine the new perspective these adventures will give you when you return to your physical body! The best part is, you get to leverage my experiences, so you don’t have to make the woeful blunders that I made. I read everything I could get hold of, trying every technique I discovered, without any real progress. …Learning more and more theory – yet never managing to put the theory into practice. I was frustrated, because no-one was giving me the complete picture…as if some crucial part of the secret was being deliberately hidden from me. And I, too, had moments when I asked myself if it was real. Yet finally, by trial and error, I discovered a system that can teach practically anybody, and I have since dedicated the past eleven years to helping others to use more effective methods. In spite of my growing doubts, I resolved to give myself two more months to work this out. I learned how astral projection existed in many different cultures, in completely different times in history, and in vastly different parts of the world. I was surprised to learn that astral projection was practiced by Ancient Egyptians, Inuits, Jewish mystics, Greek philosophers, Indian yogis, Aztec shamans, Celtic druids, Chinese Taoist alchemists, and medicine men (yaskomo) from the Amazonian Wai Wai people. 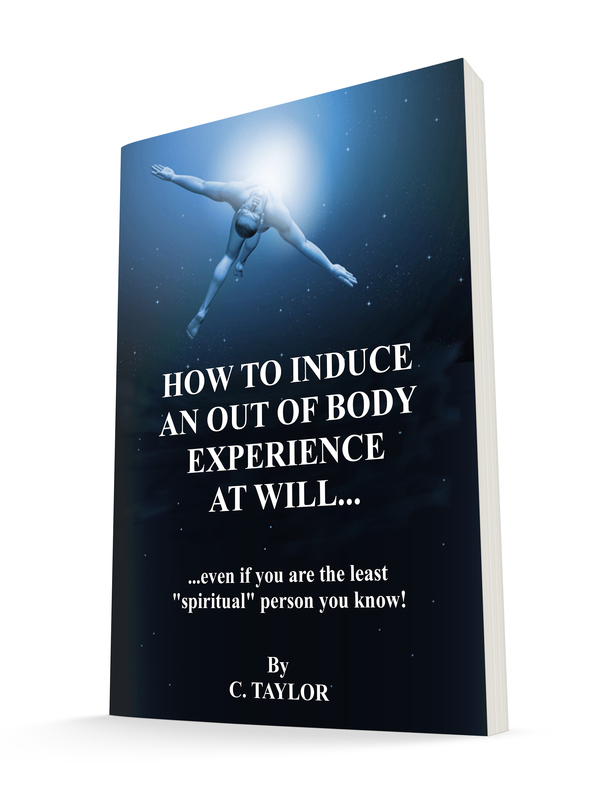 The ability to induce an out of body experience transcends cultures and religions. Your beliefs are irrelevant. THEY SIMPLY DON’T MATTER! One by one, every myth I had been fed was blown clear out of the water. I guess this was a chance discovery that anyone could have made, given enough time, determination and a bit of luck – I’m certainly not claiming any special spiritual-guru status. But this chance discovery meant I was able to focus on what worked for these different cultures despite their many differences. Finally, I re-read everything scientists have discovered about out of body experiences, and about the state of trance. And I read extensively about hypnotism – because who knows better than a hypnotist how to induce a trance-state quickly and effectively? Their livelihoods depend on it! So, my biggest teaching breakthrough happened when I worked out how to combine modern scientific thought, and therapeutic techniques, with the evergreen-truths. And for a short time only, I’m offering this no-holds-barred roadmap to the wonders of the out of body experience at an introductory low-price, and throwing in a rather special bonus. Yes! Please show me how to induce an out of body experience. So, what makes this so different from any other guides? • Short, and to-the-point. Fifty-five pages of method and techniques. Many astral projection guides spend page-upon-bloated-page going on about the experiences themselves, along with (often incorrect) theory about them. Whereas I will lead you briskly and directly to the experience itself. So that you can decide for yourself, in the shortest time possible, how it feels, and what it means. • You can look forward to actual time-tested steps you can start following today – Instead of dry, boring theory, I’ve collected the steps that have always worked, throughout human consciousness. • Get results, FASTER. You’ll start to see results quickly enough that you will actually look forward to practicing. You’ll stop feeling “stuck”, helping you continue this journey that you’ve started, without quitting. Any doubts you have will be quickly destroyed, as you start to see for yourself what it possible. • The FULL-STORY – all in one place. The alternative is to do as I did – gather the information, piece-meal, from hundreds of different sources, never quite sure what is fact, and what is fiction. Why Do My Students Find My Teaching So Effective? Other than astral projection, my greatest skill is breaking-down the learning of new skills into simple, easy-to-follow steps. My goal is to show simple, actionable steps to make learning achievable AND enjoyable. I’ve got zero interest in trying to persuade anyone to learn astral projection if they are not already interested. I’m not an evangelist. It’s their loss. But I do want to help people like you, who are genuinely interested in expanding their consciousness. And I feel I owe it to you to help you find your way – Without all the misinformation, false turns, superstitious nonsense, and plain BS. What I am offering today is simply the opportunity to fast-track your progress. Most people who try to learn astral projection without my training find that it takes them a year or more IF they don’t give up out of frustration. I can help you reduce the learning curve to just six short weeks. And that’s not all – I am also going to make the learning experience so enjoyable and relaxing for you – that you’ll probably find practicing becomes your favorite part of the day. In short, you will transform quickly, from a complete novice, to a Master of Astral Projection. This information is not available for free, or for sale, anywhere else, and you certainly won’t find anything like it presented in my easy-to-follow manner. It is a distillation of unique experience and insights I’ve accumulated over twenty-five years of practicing, teaching, writing and studying. Until now, I’ve always taught my students in small groups, or one-on-one sessions. This has meant that I have had to charge much more. There’s only one me, after all! So, you could say you’ve found yourself in the right place at the right time. Because I’ve never offered this training as an electronic product before, although it turns out to be just as effective as my in-person training. I have even included a hand-picked bonus, to sweeten the deal. It is a digital product, so you can download it immediately, and get started straightaway. It is formatted as a PDF, so that you can access it from a wide variety of gadgets, from PC to phone, tablet or Kindle. Or you can print it out if you prefer to hold a physical copy, if you are old-school, like me. If you were to try every other training, and read every book available on this subject, it would cost you literally thousands of dollars – without any guarantee you would be successful. You would also have to spend a lot more time, travel to attend seminars, and wade through lies, half-truths and incorrect information. What’s the catch? The catch is this is a special offer for a low price. But don’t worry. The cost is going to be much less than you think. And I’ve been told that it is priced well-below its actual value. …yet it is much more in-depth, usable, and accurate. And it will cost you a lot less – both in time and money – than learning by trial-and-error, like I did. I think we can both agree you could easily spend a lot of money, and waste a lot of time without getting any results. Well, there are some slick, over-polished courses out there that run into the thousands, and I’ve been told that this training is easily the equal of them, if you can look past the lack of glitzy production values. I’ve been told that for this depth of learning, and also ease of learning, I could easily charge $136 and still be far better value for money than anything else out there. Buy this training today, and take a full 30 days to decide if it is right for you. That’s correct – I will give you a 100% refund, if you don’t find my training offers you what you hoped for. No hard feelings. So if you buy this today, and then don’t even look at the contents for the next 21 days, I am still confident that you can get enough out of it to decide it was worth the money. You will need to put in some effort – but the rewards you can expect from mastering astral projection are, in my view, priceless. Yes! Show me how to be an Astral Projection master! Anyway, as I say, I will soon be removing the bonus, and selling it as a stand-alone product. Of course, you’ll probably still be able to get hold of my brain entrainment beats, but not for free. I expect them to cost around $19 each, which is a very fair market-price. Remember – this training is not available from anywhere else at all. This is 25 years worth of my studying and learning, collecting my own experiences and methods – plus my years of experience teaching this. It is my unique personal take on an arcane, lost art that has been shrouded in mystery for centuries. You won’t find anything similar anywhere, for free or for sale, so please act fast if you want in. We’re talking about effective methods backed-up by independent studies. In case you’re not a mathematician, that means you’re making a saving of 92% if you act today. Don’t forget, I’ve decided to take all the risk, and am offering a 30 day unconditional guarantee. So, today, you find yourself at a crossroads, of sorts. …or, another future you, that decided not to make the leap. That lives an ordinary life, and almost certainly wonders from time-to-time how things might have been different, if you had chosen the path less-traveled. Yes! I want this at the lowest price it will ever be. P.S. This is a unique training, based on years of research and developing the best teaching methods.In my view, this is a price that is, frankly, trivial. If you are not prepared to shell-out a pitiful $17 for a lifetime’s worth of extraordinary experiences, then you are welcome to scour the internet for tips that may or may not work. Expect to spend a lot of time trying to sort the fact from the fiction. And don’t be surprised if your attempts end in failure. P.P.S This early bird pricing is going away soon. It’s still going to be the best value training on this topic, but you will pay more if you procrastinate. If you are the type of person who would prefer to bag a bargain, instead of paying more than necessary, I’d urge you to act now. Just click the buy button above, to learn the most fascinating and enlightening skill imaginable.